Is your feline feeling a bit cramped? 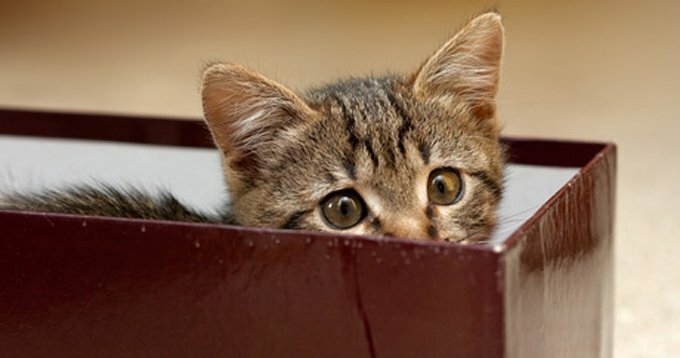 Cats can really benefit from a few simple “additions” to their homes, such as well-place cat beds and blankets, boxes and condos, ramps, walkways and steps, and cat doors. These improvements make the house feel roomier for the cat and alleviate territorial competition in multi-cat households. Cats love to luxuriate in the sun for their naps, but also often like to change spots throughout the day and night. In multi-cat households, cats may even “timeshare” good spots so that one uses a particular bed in the morning and another later in the day. 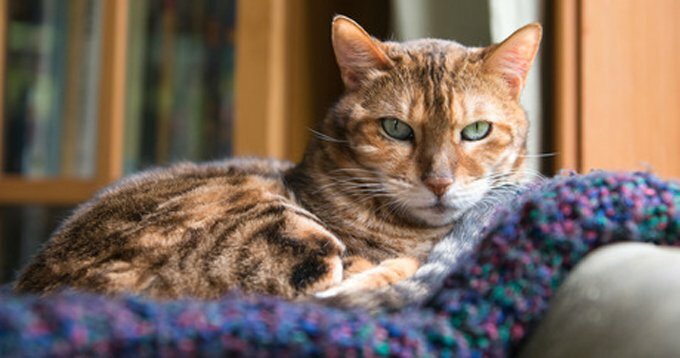 It’s easy to add new sleeping spots because cats seem to have an innate need to sit on anything that is just put down, so just placing a cat bed or a small blanket on an end table or shelf may be enough to attract the cat to the new spot. A little catnip may help with some cats, or a treat or two placed on the new bed. Many cats love to check out boxes and will sometimes turn them into new beds, as well. You can put shoeboxes and other cat-sized delivery boxes around the house and see which the cats enjoy. Adding some tissue paper or a small blanket can make them even more attractive. Cat condos also add space to a house and come in all kinds of styles and looks. When purchasing a cat condo, make sure it is extremely sturdy and will not easily tip over. That way, cats won’t get injured if they jump on it after a full speed run. Agile cats often find ways to get up onto the tops of cabinets and roam around, and some feline gymnasts have fun walking on banisters. 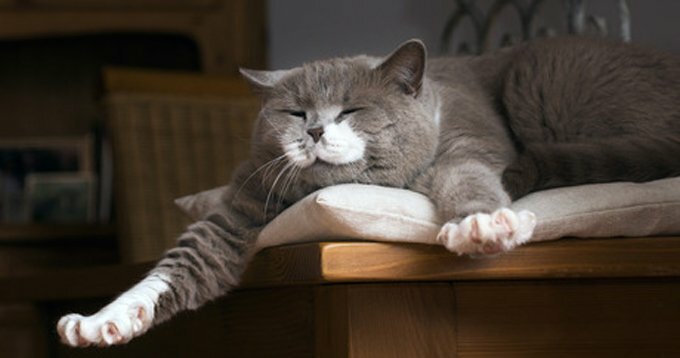 Cat people who want to go the extra mile to indulge this habit can install additional high-level walkways around the perimeter of a room, or even across it, by using shelving or beams. While many of us will not go to such lengths, just clearing off a shelf or the tops of cabinets so that the cats can use those spaces for travel can be fun. 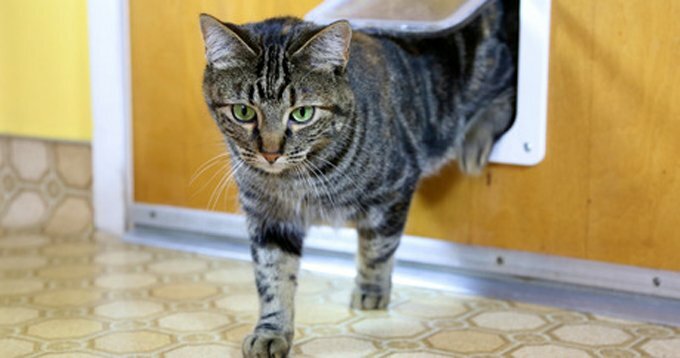 Cat doors can provide access to rooms where the door is usually closed so a cat has somewhere else to explore or hang out without the cat’s staff—oops, I mean people!—having to open and close the door all day long. That new access may pique kitty’s interest for exploration or may just offer a good place to sleep for a bit. Finally, it’s always fun to have the kitties help when making the changes; just keep an eye on them for safety. Of course, cats are creative, so if you don’t make any home additions yourself, it is quite likely that your little helper will do so for you! 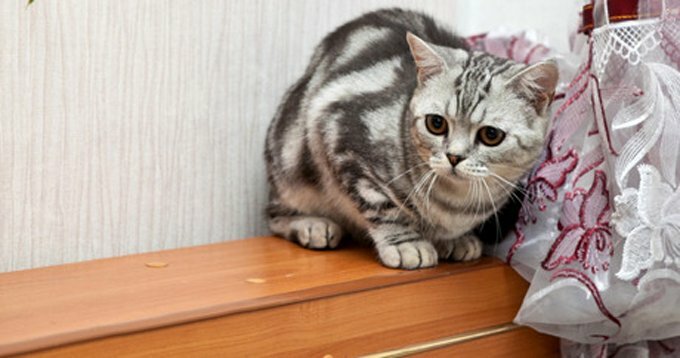 What other inexpensive ways can people make their homes more cat-friendly? Where does your kitty like to hang out most in your home? Let us know in the comments below!